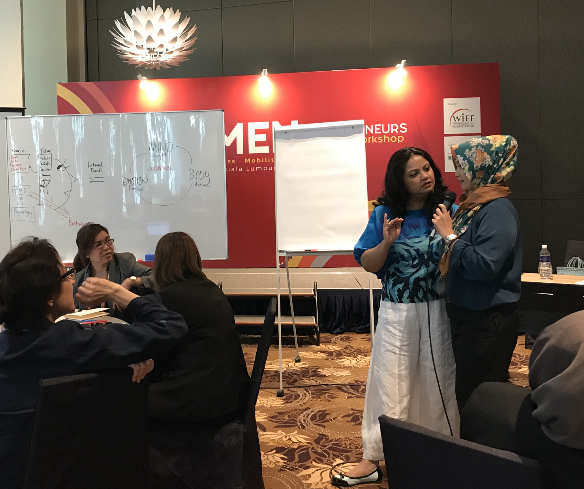 30 women with 30 businesses from nine countries came together in an intense three-day WIEF Women Entrepreneurs Strategic Workshop to learn how to better improve their businesses. They were taken on a journey by a qualified trainer and business experts to explore what made great business models. They were also taught to think strategically – to see the big picture of business while working on the details through visual thinking. The WIEF Women Entrepreneurs Strategic Workshop started with an impressive synergy created by 30 business women from different parts of the world. 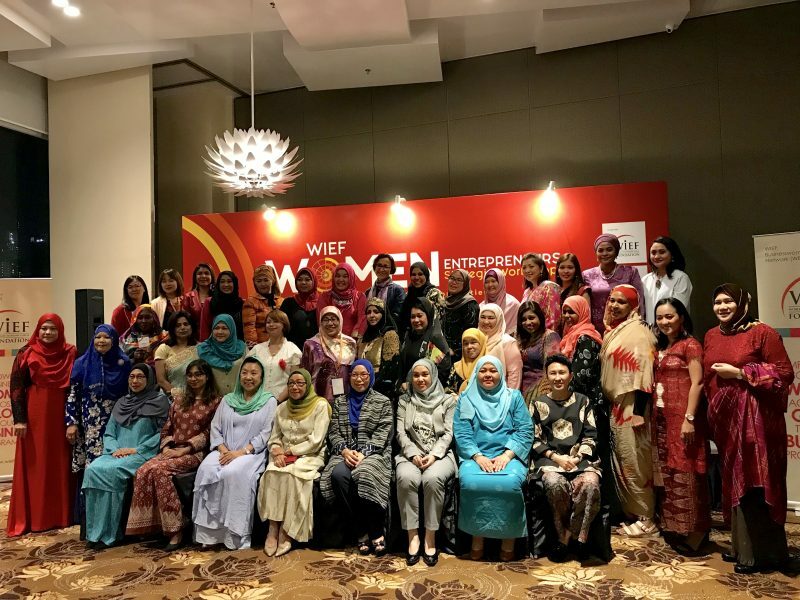 The workshop, sponsored by Serba Dinamik Holdings Berhad and organised by WIEF Businesswomen Network (WBN), was held on 28 – 30 August 2018 at Tamu Hotel & Suites, Kuala Lumpur. The business women came from nine different countries with businesses in industries ranging from food, education, real estate, fashion and more. They gathered on the first day to begin their exploration of well established businesses in Malaysia and the remaining two days were filled with workshop activities that helped better develop their business plans. At the hotel lobby, the business women mingled before they made their way to their first visit to Astro Awani. Astro Awani is a news division of Astro, the largest cable TV station in Malaysia, which currently reaches 75 per cent of homes in Malaysia, making it the most watched news channel. Though TV stations might seem like an outdated media channel, Astro Awani is still riding the digital wave pretty well. 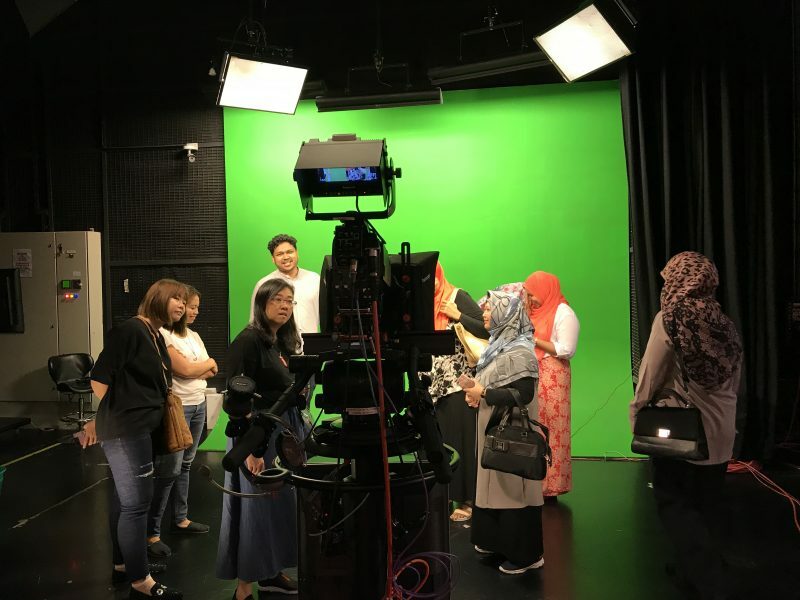 There, the women met assistant vice president of the marketing and business development of Astro Awani, Shamir Hameed, who led them on a tour behind the scenes of where the magic happens. online. He also told the women how monitoring their customers’ trends played an important part in paving future steps. The women took down notes and even proposed a new TV programme to Astro Awani that could feature diverse cultures and help engage a more diverse audience. They then hopped on the bus to visit Royal Selangor, the largest pewter manufacturer and retailer in the world. They walked through the well organised factory museum to learn about different stages of their business development and were also introduced to the family-owned business journey of Royal Selangor’s founder, Yong Koon, who shaped its humble beginnings in 1885. 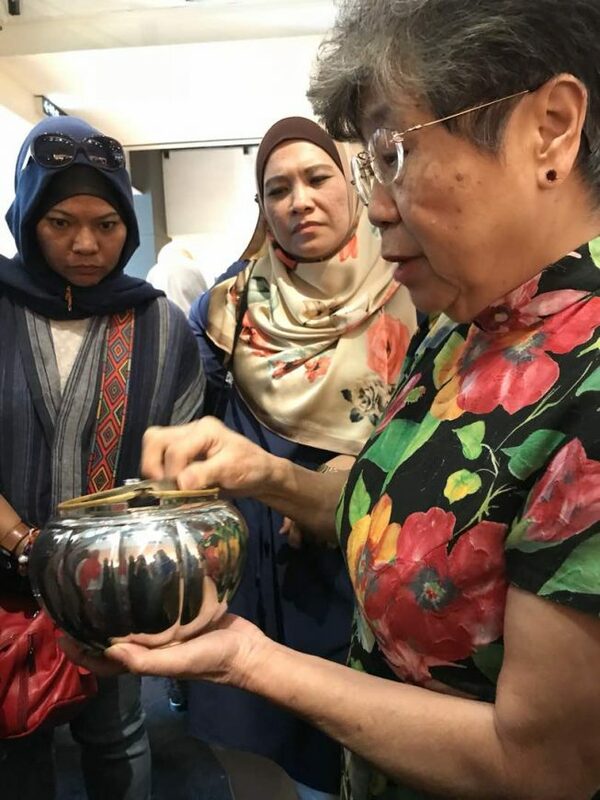 The story that amused the women the most came at the end of the tour from Datin Paduka Chen Mun Kuen, director of Royal Selangor, who narrated a beautiful history about the lucky melon teapot which she held in her hand. 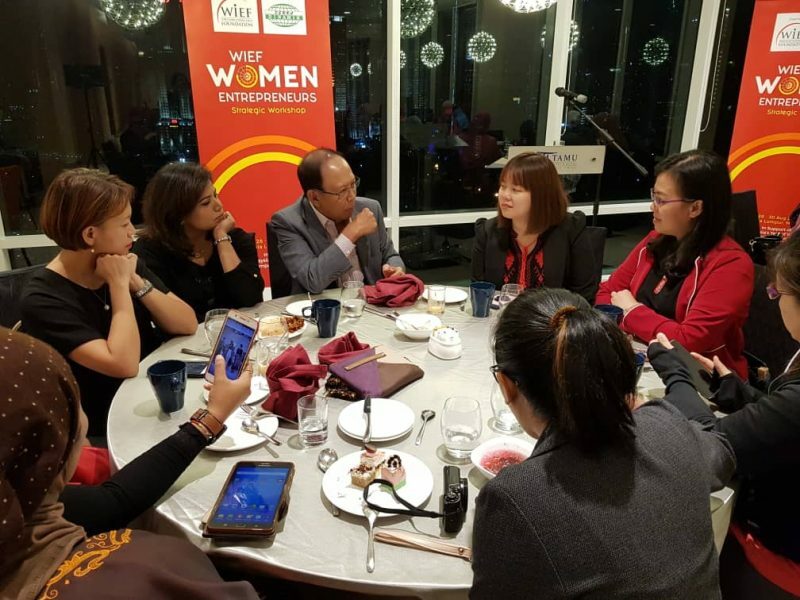 In the evening, the women had an ice-breaking session with chairman of the WIEF Foundation, Tun Musa Hitam, whose warm welcome reminded the women how significant their economic contribution is in shaping the future of the world. 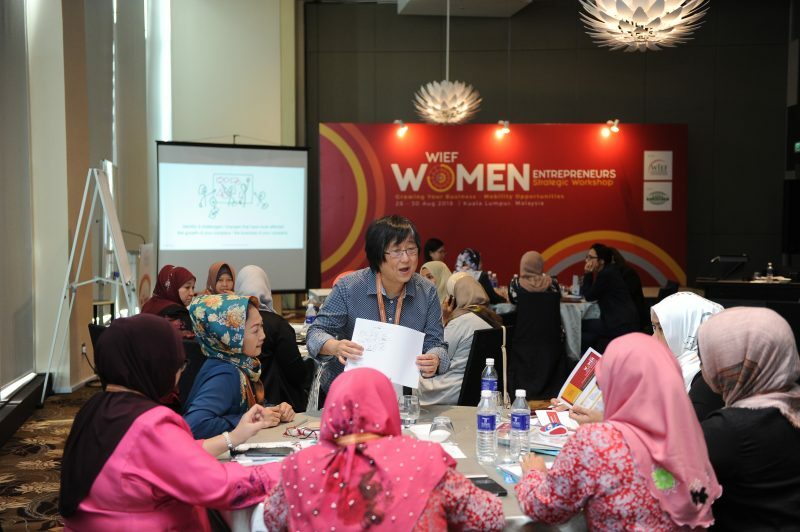 On the second day, the jam-packed workshop began with coach and business expert, Goh Ai Yat speaking to the women. 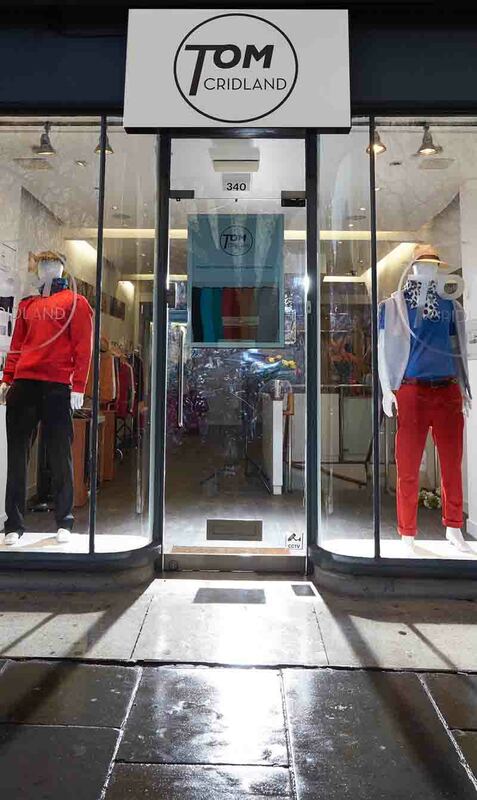 As an experienced trainer and managing consultant of the Specialist in Business and Financial training (SBF) Group, Ai Yat didn’t leave a business matter unturned. She showed the women how to visualise their business models using easy illustrations and how to better adapt to environmental changes. The women were divided into groups and each had to dissect one of their business problems. Ai Yat mentioned that drawings helped to spark creativity and was one of the ways to stay ahead of the competition. However, Ai Yat mentioned that creativity wasn’t enough and that their different types of strategies to innovate for profitability in business. As the only principal trainer for the book The Back of the Napkin, Ai Yat conducts and develops programmes for multinational companies and institutions around the world in an attempt to solve problems with pictures. The book demonstrates how a basic drawing on a napkin can work as a better learning tool than the most sophisticated PowerPoint presentation. The next day, the women shared and reviewed their business challenges and worked on it together during the ‘Slice it Right with <6><6>!’ session which demonstrated how to slice a business problem into several pieces. The women used diagrams, charts, maps, flowcharts, timelines and eventually an equation to solve their problems. Other guest speakers came in to add business insights from different areas of expertise. Angeline Ann Samuel, who is a specialist in digital marketing and managing director and founder of A Tech International, A Tech Academy and D’Gift Houz, spoke about how to better digitally market a business through the business story, and not the product or service. Some pointers she gave the women were about optimising the digital outreach of a business on social media and how crucial it is to post at least once a day and use at least 30 hashtags. Also addressing the topic of marketing was Camelia Tan Sri Ya’acob, chief executive officer of Rootwommers Sdn Bhd, who focused on offline marketing and connecting networks for SME companies. She reminded that the way to think about marketing is that it’s never about you but about your business. Life coach and founder of LifeWorks, Sharmini Henson, also advised them about how to manage their stress levels to keep healthy. 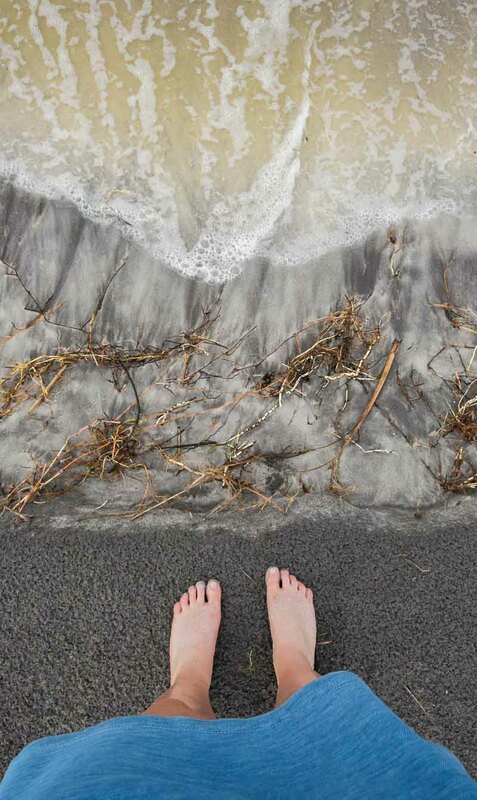 She explained how to filter thoughts and be aware of our personal biases, beliefs, values, cultural contexts and other factors to help think clearly about any problem. Sharmini shared her journey and allowed the women to work through some of their issues. Dato’ Dr Ir Haji Mohd Abdul Karim Bin Abdullah who is group CEO of Serba Dinamik Holdings Berhad, Malaysia also shared his relevant and valuable tips on how to help grow a business. As an engineer with 29 years of experience, he had his fair share of stories about how he managed to set up his own public listed company in Malaysia. 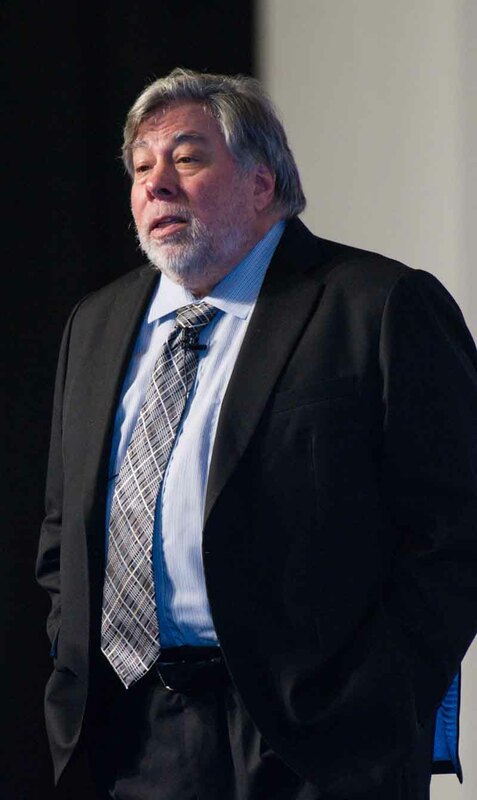 He couldn’t emphasise enough about the importance of having value-driven businesses and guiding principles. Last but not least was vice president of communications and stakeholder management of EXIM Bank, Baharuddin Muslim, who shared with the women invaluable information about how to better utilise funding opportunities and the different channels available. At the closing ceremony, the women shared their lessons learned with each other, the speakers and WBN chairwoman, Dato’ Dr Norraesah binti Haji Mohamad. 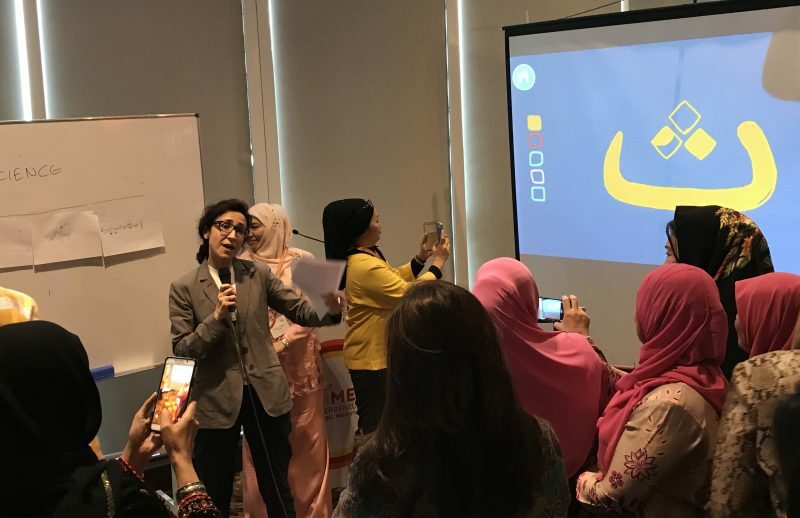 Dato’ Dr Norraessah expressed her appreciation for the lively participation of the women and one of the participants, Adiba Ataeva, managing director of Miraj Studios Ltd from the United Kingdom also shared her words at the closing. ‘These kinds of workshops are like a light in a dark cold room, like a blessing from God. They help us, they empower us, they give us the opportunity to learn from the living success stories and they tell us you can do it. 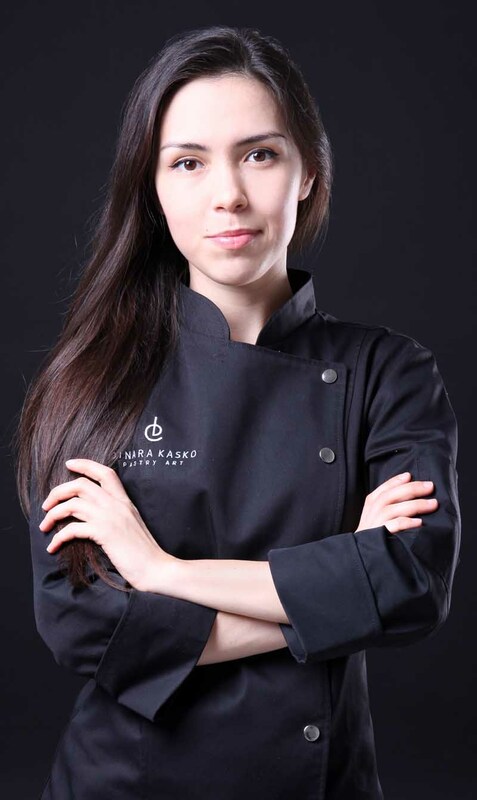 Just learn the techniques and strategies and have the guts to stand up,’ she ended.